It soon became apparent that Jorge Del Rosel’s granddaughter Carolina was a naturally good shot who also listened enthusiastically to instructions at the rifle range. She immediately grasped the importance of trigger squeeze and impressed me (and her grandfather) by placing three shots grouped within an inch of each other, just above the target’s bull’s eye at 1:5 inches high, with her .30/06 rifle shooting 180 grain Barnes X soft nose bullets. A good start! Carolina was particularly interested in a nice old kudu bull. It had to be ‘old’ she insisted. Preferably past breeding. I agreed with her arguments. 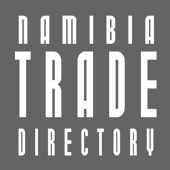 Deon Swartz, at that time the manager of Gamsberg Ranch – a skilled professional hunter and a good judge of game animals in his own right – told me that he had seen a very old kudu bull which he thought would fit Carolina’s requirements perfectly. He had seen the kudu several times. Two-and-a-half curls on each horn, hooking forward. Both horn tips, he said, were well worn exposing thick ‘ivory’ – a sure sign of age. He described the place to me, an area I knew well, with rolling hills and lots of green Acacia melifera that kudus like so much. We decided to try and hunt for that bull. Walking and stalking are how I like to hunt kudu. With that in mind, we concentrated on the area Deon had told us about. For several days we scoured the hills, glassing the valleys. Lots of kudu, but the old bull we were searching for seemed to have an uncanny ability to avoid us. It was as though he knew we were looking for him! One afternoon, walking the hills with the wind in our face, Simeon, the ranch foreman and our senior tracker, pointed out fresh kudu bull tracks. Big tracks! We decided to follow them. The tracks led us into a gully thick with thorn bush. Slowly and quietly we continued. I felt the wind turn, gusting on the back of my ears. A deep grunt-like bark and crashing in the undergrowth told us that our quarry had scented us and bolted. Old kudus don’t often make mistakes – this old boy did. He turned and crossed an opening a hundred yards away, then stopped to look back at an angle, with his heavy head held in our direction. One look was enough to decide. He was the bull Deon had described. Luckily, by chance, we were in good cover but had a window through the bush allowing a clear shot. He hadn’t seen us. Slowly, as quietly as possible, I set up the shooting sticks. Carolina carefully placed the front of her rifle in the supporting ‘V’, took aim deliberately. “Aim at just behind the shoulder – about halfway up and squeeze”, I advised in a whisper. The shot thundered through the hills. I saw the dust fly off the bull’s skin, impacting exactly where I had hoped. The kudu staggered, crashed off through the undergrowth hitting branches and trees (a sure sign of a vital shot), over the ridge and out of sight. Leaving a bright red frothy spoor. Fifty yards over the ridge, there, he lay. A wonderful old warrior, well past his prime, with his spectacular corkscrew-twisted, heavily broomed horns. Later we found out that both horns were just on the magic 50 inches mark. A champion old male. Jorge couldn’t have been more thrilled and delighted at his granddaughter’s success. 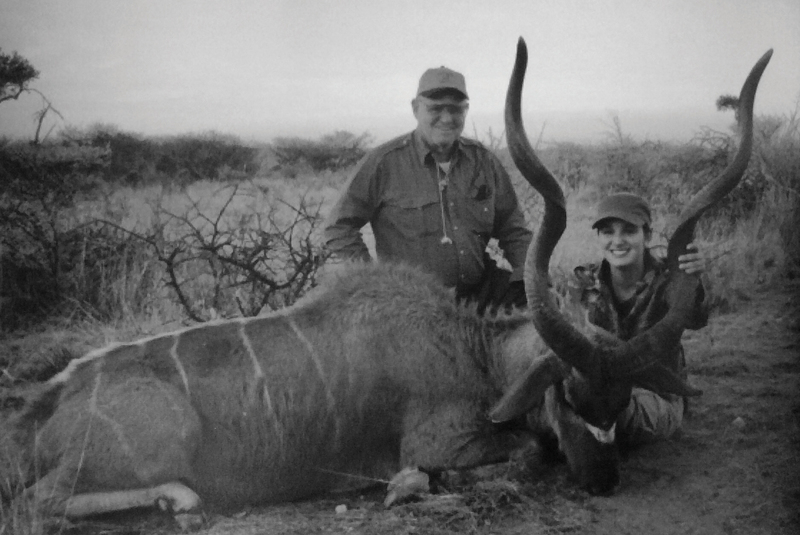 Grandfather Jorge Del Rosel, delighted at his thirteen-year-old granddaughter Carolina’s success on the old broomed horned kudu of Gamsberg. Art and Susan Carlson were old friends of mine. On this safari, they brought along their daughter Stephanie Murray and granddaughter Courtney. Art wanted Courtney to hunt for a kudu bull. “Try not to get her a better bull than mine”, he half-jokingly enthused – after having already taken a splendid old ‘chap’ of over 57 inches! I thought this was unlikely to happen, but one should never tempt providence! We stalked the ridges and valleys of Gamsberg and neighbouring properties, glassing the mountainsides and ravines daily. Lots of kudu. Every day we saw males too young to hunt, and a couple of old bulls that were worthwhile but gave us the slip. Art, by the way, had taught Courtney well in the skills of rifle shooting and she was a splendid shot with her 7 mm 08 rifle. Art had especially asked the American company Superior Ammunition to load suitable bullets, Nosler Partition 175 grains, for the hunt. I had seen her take an old male hartebeest and a gemsbok bull, each cleanly with one shot. So I had no concerns in that department! Hunting and glassing along the edge of the badlands one evening, we startled a huge bull with a dozen cows. He stood gazing at us through the bush – great twisted horns stretching skywards. One glance was enough. I knew instantly that I was looking at a once in a lifetime kudu. I quietly told everyone to continue in the same direction until we were able to slip out of sight in a small gully, our hope being not to spook the ‘Grey Ghost’. Leaving our companions behind, Courtney and I quietly sneaked back, keeping well out of the bull’s vision. The wind was perfect, in our favour, as was our approach route. 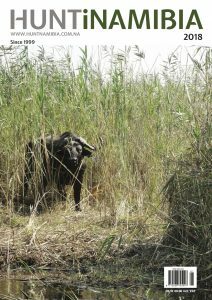 We crept up to the edge of the gully, and when we glanced over it the bull was still there – searching for movement in the direction where he had last seen us. Quietly I set up my shooting sticks for Courtney. In slow motion, she placed her rifle on the rest. He was only 50 yards away. Any sudden movement would alert him. All we could see was the bull’s neck and part of his chest. Enough for a deadly shot. Courtney slowly eased the safety catch. When the bull heard the slight click he turned slightly and looked directly at us. We had no time to waste. “Take him in the centre of his neck”, I whispered. Courtney was now visibly excited. And the bull was about to run. “Take your time… take your time”, I said reassuringly, not wanting her to rush the shot. “Blamb”! At the report, the bull ran with his cows over the ridge and into a deep ravine. A miss! Quickly reloading, safety on, Courtney and I dashed forward to the ravine’s edge. The cows were clambering up the other side. Setting up the sticks again, indicating to Courtney to get ready. “The male will probably follow the cows – when you see him, shoot in your own good time – it will be about 200 yards – don’t aim high”. Courtney was settled now, quietly waiting for the bull to appear. Then, there he was, clambering after the cows. “Wait for him to stop”. No sooner than the words were out of my mouth, and he did just that. At the report, the bull staggered, then ran a few yards and collapsed, perfectly shot through both lungs. What a shot. Approaching the old male I couldn’t believe the size of his horns. A perfect kudu with very long and outward flaring tips. Truly, as I expected, the kudu of a lifetime. When Art and Susan joined us, Art jokingly said, “I thought I asked you not to hunt one better than mine!” With tears of joy clouding his eyes, he gave Courtney a huge hug as only a loving and proud grandfather could do! Later back home we measured the horns: 59 15/16 on the one side and 59 1/2 on the other. Not quite 60 inches, but a colossal bull by any standards. The moral of these two stories? Firstly, it’s good to encourage young hunters. They are, after all, the future of hunting as a tool for conservation. Secondly, both of the girls hunted superb kudu bulls. I leave it to you to judge which was the better of the two trophies. In my humble opinion, I rate both of them equally!